Agathe Savonet is a photographer and software engineer based in Paris, France. Aside from photography, she is also passionate about horseback riding. 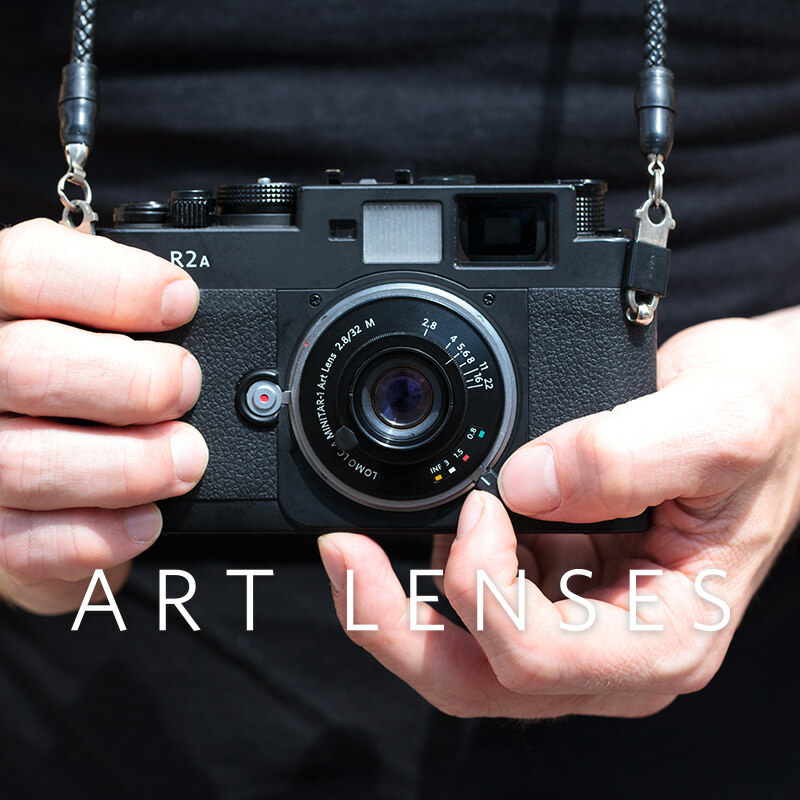 She tested the Lomogon 2.5/32 Art Lens and now we bring you her first impressions. I got into it seriously pretty late around 2010 when I bought my first DSLR. Mainly I was a spectator before that. With my DSLR, I took some beginner lessons about the depth of field and speed. Starting from there, somebody talked about Lomography and Toy cameras: I found myself into analogue photography. First a Holga, then my father’s camera (Minolta XG-1), then I played with different films. Currently, photography is always a good excuse to go out and travel. "...the optical quality is very good: for color rendering and sharp results." Instantaneous, street and definitively urban I would say: because I shoot a lot on weekends in my city, and I’m not good with landscapes. I would say that I try to shoot what catches my eye(s): a living scene or not. I think I’m more sensitive to the urban environment. What was your first impression upon seeing and holding the Lomogon lens? Impressive! And shiny - shooting with it actually attracts attention. It is steady and easy to grip, the aperture ring is very easy to change just with the tip of the finger, even without leaving the viewfinder: you're able to see the effect right away. How does the Lomogon fit into your (photography) style? Ease of use (like the aperture ring point) and the sharpness of it, the optical quality is very good: for color rendering and sharp results. It’s a high fidelity of the atmosphere I tried to catch for every photo. Could you share your best photo taken with the Lomogon and the story behind that shot? I don’t know if it’s my best but it’s one of my favorites for this set. Great summer light in an indoor place -- those passages are beautiful to shoot! I like it when there is a live element in a static scene because it shows some contrasts. Honestly, I was going for a shot of the passage only but the guy was staying there so I took the photo anyway, I find it's best to always integrate what’s in front of you. I had several occasions to try and catch movement (the Lomogon helps a lot with that) but on that day, the atmosphere was closer to quietness than anything. Any pointers that one should keep in mind when using the Lomogon? The size is quite big so take note of the space it takes with your camera. Take your time to focus, it’s also a pleasure and try all apertures, so you could see so many effects of that aperture ring. And never forget to cover the glass after use! hannah_brown, frenchyfyl, lomodesbro, gakurou, birgitbuchart, crazy_little_red_riding_hood, ricoinbrooklyn & smolda.